Always dreamed of being a surfer dude? You can hardly come to Raglan without getting among the waves on a surf board. And it is all possible with everything you need so close to our Raglan accommodation. 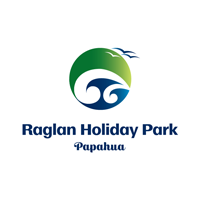 Now is your chance during your Raglan camping holiday with a variety of surf schools in the area (website links below). They will provide a board, wetsuit and the best class room experience you’re ever likely to have. To make it even easier still, some will pick you up from your front door too! Ask out staff to help you out, we can book it all for you! Alternatively, head down to the beach at Ngarunui (from the Wainui Reserve) on a nice day and you’ll probably find one of raglan's surfing school's in the carpark or on the beach with boards to hire. So give one of them a holler and learn to do something you’ve always wanted too.